Property 2: Beach Front Kauai Beach Resort Top Floor Great Ocean/Pool View, New Renovation! Property 6: Beachfront luxury resort, Top Floor Ocean View, King size bed. Property 7: Studio w/ WiFi, Resort Pool & Spa Near Art Galleries, Shopping & Hiking Trails! Property 13: OCEAN/POOL VIEWS FREE PARKING A/C WIFI KINGBED FREE RESORT PASS DELUXE ROOM! 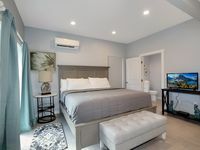 Property 14: Forget Me Not, Small Quaint Room In The Historic Bowery Inn. Property 15: Queen of the Night, The Bowery Inn's largest room with close deck access! Property 20: Resort at Squaw Creek, Sq. Valley, #249, LOW RATES EVER , HURRY!!! Riverfront On The Colorado River- Snowbirds, traveling nurses, tourists. Property 22: Riverfront On The Colorado River- Snowbirds, traveling nurses, tourists. Property 23: Beaches, Breath Taking Views, Hikes, Adventure Or Just Relax This Is For You! Property 24: ZERMATT RESORT BY WYNDHAM-- KING SUITE ONLY 15 MINS FROM PARK CITY! Deep Creek 2BR Accommodations adjacent to Rancho Manana Golf Club. Property 31: Deep Creek 2BR Accommodations adjacent to Rancho Manana Golf Club. Property 35: 4* Beachfront Luxury Resort, Room with Ocean/Pool View ! Harpers Beauty, Charming Western Themed Room In Historic Inn! 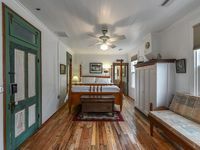 Property 36: Harpers Beauty, Charming Western Themed Room In Historic Inn! Property 39: Waikiki Banyan hotel/Ocean View/Remodeled/Free pkg/1Block from beach/Internet. Property 40: Beautiful Waterfront Condo on Intercoastal Waterway! Steps from Beach! Property 43: 2BR at Oceanfront Resort w/ Pool, Beach, Free WiFi & Near Attractions! Tropical paradise, garden-view 1B/1B Unit, just minutes from the Beach! Property 47: Tropical paradise, garden-view 1B/1B Unit, just minutes from the Beach! Property 48: 2 Blocks to Downtown w/o the high price tag! Love Colorado Summers, What are you waiting for? I enjoyed the the use of reclaimed wood and the &quot;historic&quot; feel of the property. However the amenities were great with a shared kitchen area, hot coffee and a fridge for personal food items, etc. Bathrooms were great and the bed was super comfy.